If you've ever been to a Passover seder, you've probably experienced the array of unique foods that fill the table, including the sweet and sticky concoction known as charoset. But what is charoset? Charoset (חֲרֽוֹסֶת, pronounced ha-row-sit) is a sticky, sweet symbolic food that Jews eat during the Passover seder every year. The word chariest derives from the Hebrew word cheres (חרס), which means "clay." In some Middle Eastern Jewish cultures, the sweet condiment is known as halegh. "The Egyptians enslaved the children of Israel with back-breaking labor, and they embittered their lives with hard labor, with clay and with bricks and with all kinds of labor in the fields—all their work that they worked with them with back-breaking labor." The concept of charoset as a symbolic food first appears in the Mishnah (Pesachim 114a) in a disagreement between the sages about the reason forcharosetand whether it is a mitzvah (commandment) to eat it at Passover. According to one opinion, the sweet paste is meant to remind people of the mortar used by the Israelites when they were slaves in Egypt, while another says that the charoset is meant to remind the modern Jewish people of the apple trees in Egypt. This second opinion is tied to the fact that, supposedly, the Israelite women would quietly, painlessly give birth beneath apple trees so that the Egyptians would never know that a baby boy was born. Although both opinions add to the Passover experience, most agree that the first opinion reigns supreme (Maimonides, The Book of Seasons 7:11). Recipes for charoset are countless, and many have been passed down from generation to generation and crossed countries, survived wars, and been revised for the modern palate. In some families, charoset loosely resembles a fruit salad, while in others, it's a thick paste that has been thoroughly blended and spreads like a chutney. In some places, like Italy, Jews traditionally added chestnuts, while some Spanish and Portuguese communities opted for coconut. Charoset is placed on the seder plate along with other symbolic foods. During the seder, which features the retelling of the Exodus story from Egypt at the dinner table, the bitter herbs (maror) are dipped into the charoset and then eaten. 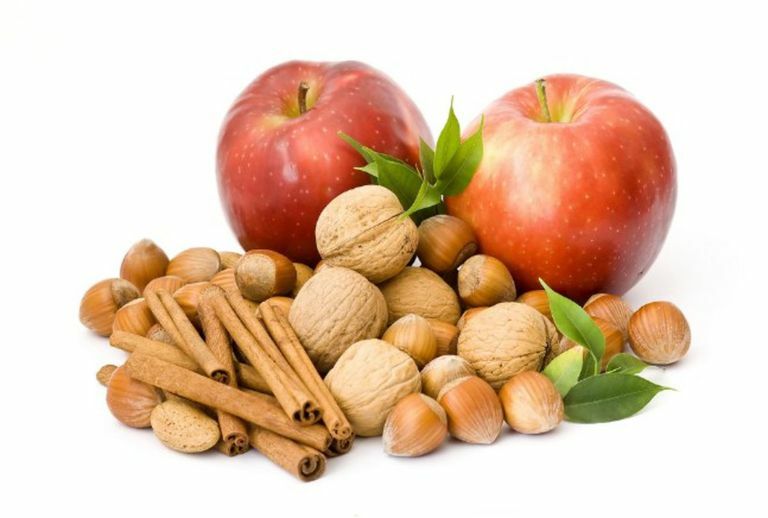 This might explain why ​in some Jewish traditions charoset is more like a paste or a dip than a chunky fruit-and-nut salad. In 2015, Ben & Jerry's in Israel produced a Charoset ice cream for the first time, and it received impressive reviews. The brand released Matzah Crunch back in 2008, but it was mostly a flop. What Are the Symbols of the Passover Seder Plate? What Is a Hanukkiyah or Hanukkah Menorah? What's essential for your Passover seder? We've got the list! Why Are Four Cups of Wine Drunk at Passover Seder? What is the Jewish holiday of Purim? What Are the Four Questions at the Passover Seder? What Foods Are Kosher for Passover? How Do Jews Count the 49 Days Between Passover and Shavuot?